We provided no irrigation for our ground cherries and only provided a top layer of compost that was worked into the soil before transplanting. A layer of mulch was added in the form of grass clippings after plants were well established. Even with no irrigation we could barely keep up with the harvest. Two to four plants would be plenty for a family of four. Note of Warning: Ground cherry leaves, stems, and unripe fruit are toxic. Wait to eat ground cherries once they have fallen to the ground and the fruit inside the husk has turned to a golden yellow. 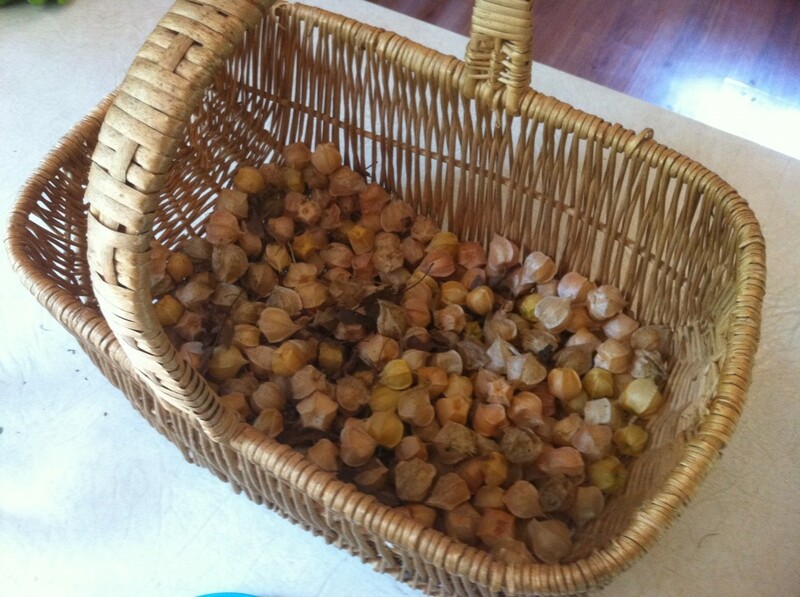 Below are the step by step instructions I used to make ground cherry jam. I would like to use them in different ways next year, maybe in a pie. If anyone has any good recipes leave a comment. 1. Remove husk from 3 cups of ground cherries and combine them with 1/4 cup lemon juice, 1/2 cup of water, and 1 box of powdered pectin. 2. Boil and mash the ground cherries when they start to bust. 3. Once they have been well mashed, stir in 3 cups of sugar. 4. Return to a boil for approximately 3 minutes. 5. Ladle into sterilized jars leaving 1/8 of an inch at top, screw on lids, and invert jars for approximately 5 minutes. 6. Turn over to cool and wait for lids to pop. The seal is then tight. 7. This filled 3 medium jars.